Click here to sign up and apply for monthly parking with us. For existing members, sign in here to access your account. For all other season enquiries, feel free to email us at park@wilsonparking.com.sg or give us a call at 6411 5592. For any car park management opportunities, advertising or collaborations at our car parks, do email us at bd@wilsonparking.com.sg for our sales and marketing team to provide a comprehensive solution to all your needs. We are a family-owned business and for over 50 years the success of the Wilson name has been underpinned by superior performance and the strength of our relationships. Our focus as a business is therefore very much about relationships and meeting customer needs. Without our customers, we have no business and without the efforts of our staff we could not continue to grow our business. We place a great importance on our dealings with customers and staff. As part of the Wilson team, we want you to commit to understanding the unique nature of our business and take ownership for upholding our values. Wilson is a rapidly-growing organisation which strives to maintain a friendly, professional approach where initiative and autonomy are encouraged. We value and promote an environment which fosters open communication, working as an integrated team, being committed to delivery of promised service, and where individuals have opportunities to develop. If this truly sounds appealing to you, we invite you to read on and discover why our staff enjoy working here. If you can see yourself contributing to this, I hope you’ll apply to join us. Whether it’s a commute to work or a special trip somewhere. 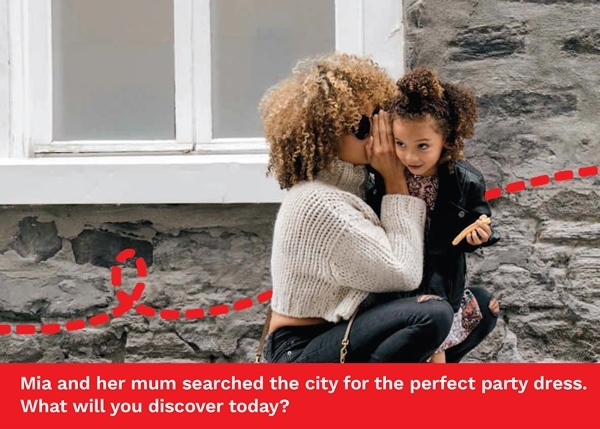 Wherever you’re going, Wilson One can take you from A to W.
*The Wilson One card is not a financial instrument and cannot be used for any payments other than at a Wilson One car park when linked to an active account. The availability of Wilson One car parks may vary from time to time. When used for casual parking, the casual rates of the car park will apply as per the rate boards displayed at the car park entry. For full Terms & Conditions, visit www.wilsonparking.com.au/terms/wilsonone. At Wilson Parking we understand that Customer feedback is an important part of ensuring we provide our customers with the best possible service. If you would like to leave some positive feedback or feel there is an area where we could improve, we'd love to hear from you. Just fill in a few details below and one of our Customer Relations team members will contact you as quickly as possible. Please try and be as specific as possible and provide as much detail as you can. This will help the speed up the time which we can investigate and get back to you. Proof of purchase will be required in most cases. Wilson Parking operates more than 285 car parks and parks more than 30,000 vehicles each day across Singapore. ©2017 Wilson Parking. All rights reserved.